The Good Soldier: A Tale of Passion is set just before World War I and chronicles the tragedy of Edward Ashburnham, the soldier to whom the title refers, and his own seemingly perfect marriage and that of two American friends. 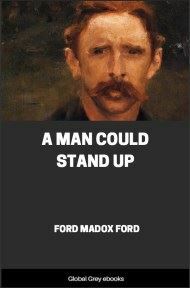 The novel is told using a series of flashbacks in non-chronological order, a literary technique that formed part of Ford's pioneering view of literary impressionism. 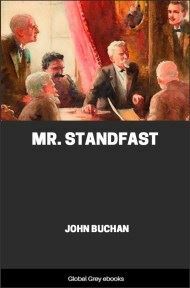 Ford employs the device of the unreliable narrator to great effect as the main character gradually reveals a version of events that is quite different from what the introduction leads the reader to believe. 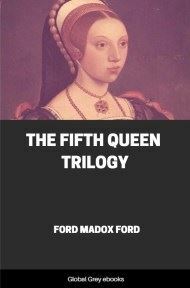 The novel was loosely based on two incidents of adultery and on Ford's messy personal life. 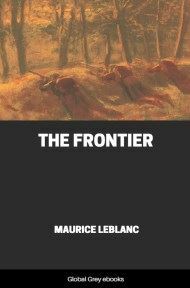 The novel's original title was The Saddest Story, but after the onset of World War I, the publishers asked Ford for a new title. 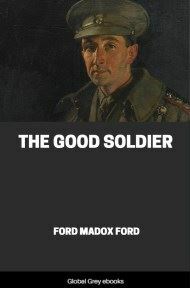 Ford suggested (sarcastically) The Good Soldier, and the name stuck. THIS is the saddest story I have ever heard. We had known the Ashburnhams for nine seasons of the town of Nauheim with an extreme intimacy—or, rather with an acquaintanceship as loose and easy and yet as close as a good glove's with your hand. My wife and I knew Captain and Mrs Ashburnham as well as it was possible to know anybody, and yet, in another sense, we knew nothing at all about them. This is, I believe, a state of things only possible with English people of whom, till today, when I sit down to puzzle out what I know of this sad affair, I knew nothing whatever. Six months ago I had never been to England, and, certainly, I had never sounded the depths of an English heart. I had known the shallows. I don't mean to say that we were not acquainted with many English people. Living, as we perforce lived, in Europe, and being, as we perforce were, leisured Americans, which is as much as to say that we were un-American, we were thrown very much into the society of the nicer English. Paris, you see, was our home. Somewhere between Nice and Bordighera provided yearly winter quarters for us, and Nauheim always received us from July to September. You will gather from this statement that one of us had, as the saying is, a "heart", and, from the statement that my wife is dead, that she was the sufferer. Captain Ashburnham also had a heart. But, whereas a yearly month or so at Nauheim tuned him up to exactly the right pitch for the rest of the twelvemonth, the two months or so were only just enough to keep poor Florence alive from year to year. The reason for his heart was, approximately, polo, or too much hard sportsmanship in his youth. The reason for poor Florence's broken years was a storm at sea upon our first crossing to Europe, and the immediate reasons for our imprisonment in that continent were doctor's orders. They said that even the short Channel crossing might well kill the poor thing. 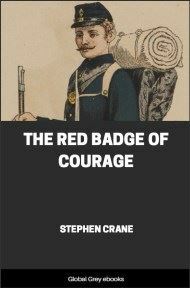 When we all first met, Captain Ashburnham, home on sick leave from an India to which he was never to return, was thirty-three; Mrs Ashburnham Leonora—was thirty-one. I was thirty-six and poor Florence thirty. Thus today Florence would have been thirty-nine and Captain Ashburnham forty-two; whereas I am forty-five and Leonora forty. You will perceive, therefore, that our friendship has been a young-middle-aged affair, since we were all of us of quite quiet dispositions, the Ashburnhams being more particularly what in England it is the custom to call "quite good people". They were descended, as you will probably expect, from the Ashburnham who accompanied Charles I to the scaffold, and, as you must also expect with this class of English people, you would never have noticed it. Mrs Ashburnham was a Powys; Florence was a Hurlbird of Stamford, Connecticut, where, as you know, they are more old-fashioned than even the inhabitants of Cranford, England, could have been. I myself am a Dowell of Philadelphia, Pa., where, it is historically true, there are more old English families than you would find in any six English counties taken together. I carry about with me, indeed—as if it were the only thing that invisibly anchored me to any spot upon the globe—the title deeds of my farm, which once covered several blocks between Chestnut and Walnut Streets. These title deeds are of wampum, the grant of an Indian chief to the first Dowell, who left Farnham in Surrey in company with William Penn. Florence's people, as is so often the case with the inhabitants of Connecticut, came from the neighbourhood of Fordingbridge, where the Ashburnhams' place is. From there, at this moment, I am actually writing. You may well ask why I write. And yet my reasons are quite many. For it is not unusual in human beings who have witnessed the sack of a city or the falling to pieces of a people to desire to set down what they have witnessed for the benefit of unknown heirs or of generations infinitely remote; or, if you please, just to get the sight out of their heads. Some one has said that the death of a mouse from cancer is the whole sack of Rome by the Goths, and I swear to you that the breaking up of our little four-square coterie was such another unthinkable event. Supposing that you should come upon us sitting together at one of the little tables in front of the club house, let us say, at Homburg, taking tea of an afternoon and watching the miniature golf, you would have said that, as human affairs go, we were an extraordinarily safe castle. We were, if you will, one of those tall ships with the white sails upon a blue sea, one of those things that seem the proudest and the safest of all the beautiful and safe things that God has permitted the mind of men to frame. Where better could one take refuge? Where better? Permanence? Stability? I can't believe it's gone. I can't believe that that long, tranquil life, which was just stepping a minuet, vanished in four crashing days at the end of nine years and six weeks. Upon my word, yes, our intimacy was like a minuet, simply because on every possible occasion and in every possible circumstance we knew where to go, where to sit, which table we unanimously should choose; and we could rise and go, all four together, without a signal from any one of us, always to the music of the Kur orchestra, always in the temperate sunshine, or, if it rained, in discreet shelters. No, indeed, it can't be gone. You can't kill a minuet de la cour. You may shut up the music-book, close the harpsichord; in the cupboard and presses the rats may destroy the white satin favours. The mob may sack Versailles; the Trianon may fall, but surely the minuet—the minuet itself is dancing itself away into the furthest stars, even as our minuet of the Hessian bathing places must be stepping itself still. Isn't there any heaven where old beautiful dances, old beautiful intimacies prolong themselves? Isn't there any Nirvana pervaded by the faint thrilling of instruments that have fallen into the dust of wormwood but that yet had frail, tremulous, and everlasting souls?